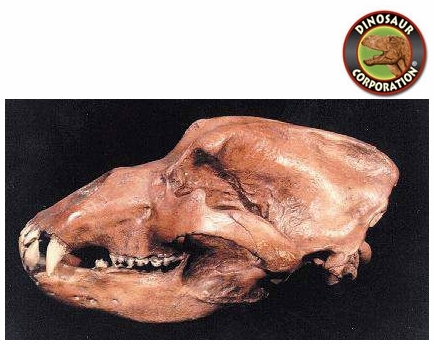 Cave Bear Skull. Ursus spelaeus. * Cast in durable Polyurethane resins. Cave Bear (Ursus spelaeus) was a species of bear that lived in Europe during the Pleistocene and became extinct at the beginning of the Last Glacial Maximum, about 27,500 years ago. ▪ Black Bear Skull, Female 14"